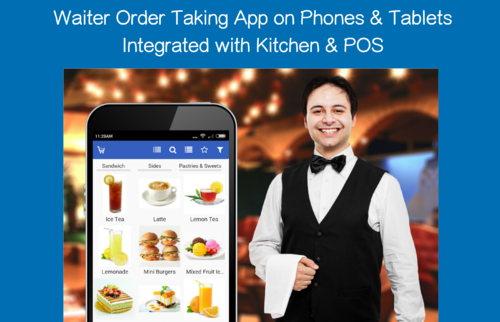 A web based order collection app for restaurant waiters. Simply activate your company to enable automatic synchronization among all the devices. 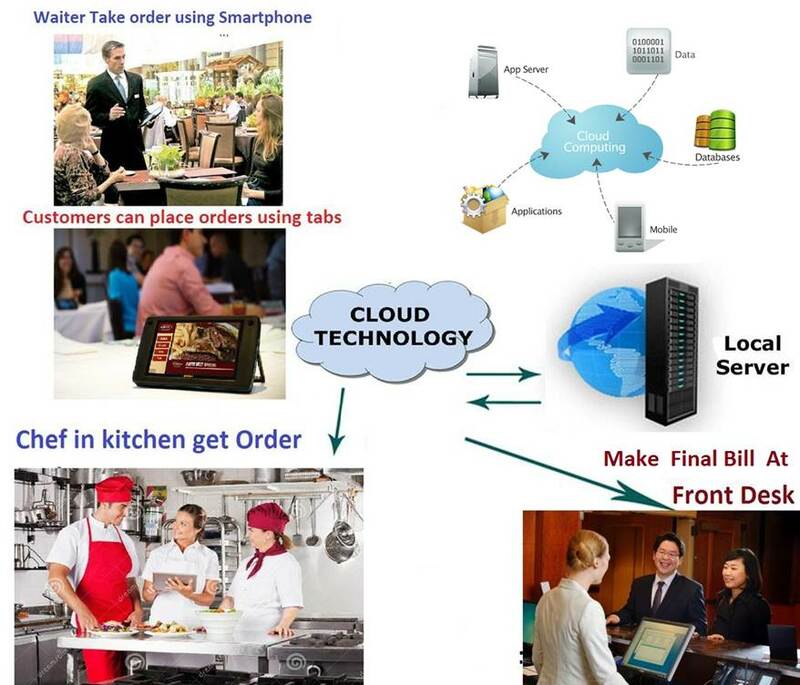 A waiter can collect customer orders from visitors over a Smartphone while moving around restaurant campus. Orders will be automatically synchronized on main server as well as kitchen computer. Chef makes the order ready and waiter can efficiently deliver the order without any wastage of time. 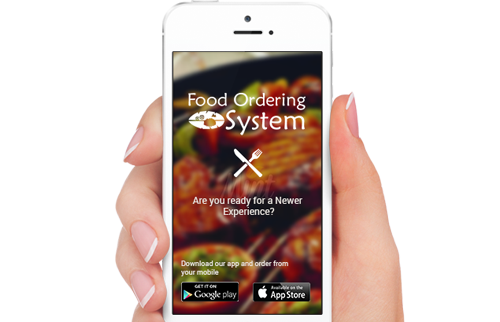 Why your fine-dine needs restaurant mobile app? Enable the comfort of attending your guest from their seating to billing by just playing with your... finger. 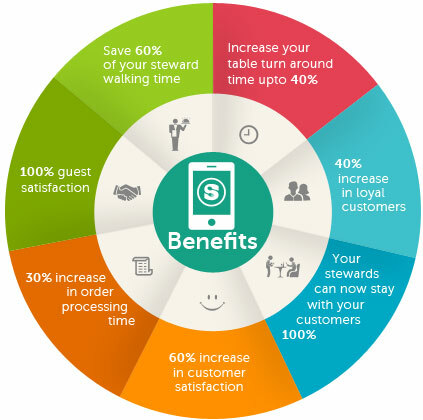 Manage your guest seating, orders, their preferences, priority of serve, merge or split KOT's, and convert them to bill with predefined discounts, supporting fine-dine restaurant, quick service restaurant, bakery and even more food businesses. Order Now App has been designed so simply that a layman can operate it very easily without any training or computer knowledge. Just Touch, Tap and your order is ready. All Items are shown very beautifully along with its pretty pics. Very flexible to change order qty, easily delete particular item from order. Select table no. All the data will be automatically synchronized on main server. At any point of time you can check how many items served today by a particular attendance. What are total sales figures today? How many number of orders served and how much revenue generated by particular staff member. It will increase staff's work efficiency as waiter is not required to go to kitchen or front desk for placing an order. LAST REVISION: [17-02-2017] PLEASE READ THIS TERMS OF SERVICE SEARCH ENGINE OPTIMIZATION (SEO), SOCIAL MEDIA OPTIMIZATION (SMO), BULK EMAIL MARKETING, CONTENT WRITING, ECOMMERCE, EMAIL CAMPAIGN, ERP AND ONLINE CONSULTANCY AGREEMENT OF BYEZE TECH SERVICES CAREFULLY. BY USING THIS WEBSITE OR ORDERING PRODUCTS FROM THIS WEBSITE YOU AGREE TO BE BOUND BY ALL OF THE TERMS AND CONDITIONS OF THIS SEARCH ENGINE OPTIMIZATION (SEO), SOCIAL MEDIA OPTIMIZATION (SMO), BULK EMAIL MARKETING, CONTENT WRITING, ECOMMERCE, EMAIL CAMPAIGN, ERP AND ONLINE CONSULTANCY AGREEMENT OF BYEZE TECH SERVICES.This Terms of Service SEARCH ENGINE OPTIMIZATION (SEO), SOCIAL MEDIA OPTIMIZATION (SMO), BULK EMAIL MARKETING, CONTENT WRITING, ECOMMERCE, EMAIL CAMPAIGN, ERP AND ONLINE CONSULTANCY AGREEMENT OF BYEZE TECH SERVICES (the "SEARCH ENGINE OPTIMIZATION (SEO), SOCIAL MEDIA OPTIMIZATION (SMO), BULK EMAIL MARKETING, CONTENT WRITING, ECOMMERCE, EMAIL CAMPAIGN, ERP AND ONLINE CONSULTANCY AGREEMENT OF BYEZE TECH SERVICES") governs your use of this website, WWW.BYEZE.COM (the "Website"), Byeze Tech Services LLP ("Business Name") offer of products for purchase on this Website, or your purchase of products available on this Website. This SEARCH ENGINE OPTIMIZATION (SEO), SOCIAL MEDIA OPTIMIZATION (SMO), BULK EMAIL MARKETING, CONTENT WRITING, ECOMMERCE, EMAIL CAMPAIGN, ERP AND ONLINE CONSULTANCY AGREEMENT OF BYEZE TECH SERVICES includes, and incorporates by this reference, the policies and guidelines referenced below. Byeze Tech Services LLP reserves the right to change or revise the terms and conditions of this SEARCH ENGINE OPTIMIZATION (SEO), SOCIAL MEDIA OPTIMIZATION (SMO), BULK EMAIL MARKETING, CONTENT WRITING, ECOMMERCE, EMAIL CAMPAIGN, ERP AND ONLINE CONSULTANCY AGREEMENT OF BYEZE TECH SERVICES at any time by posting any changes or a revised SEARCH ENGINE OPTIMIZATION (SEO), SOCIAL MEDIA OPTIMIZATION (SMO), BULK EMAIL MARKETING, CONTENT WRITING, ECOMMERCE, EMAIL CAMPAIGN, ERP AND ONLINE CONSULTANCY AGREEMENT OF BYEZE TECH SERVICES on this Website. Byeze Tech Services LLP will alert you that changes or revisions have been made by indicating on the top of this SEARCH ENGINE OPTIMIZATION (SEO), SOCIAL MEDIA OPTIMIZATION (SMO), BULK EMAIL MARKETING, CONTENT WRITING, ECOMMERCE, EMAIL CAMPAIGN, ERP AND ONLINE CONSULTANCY AGREEMENT OF BYEZE TECH SERVICES the date it was last revised. The changed or revised SEARCH ENGINE OPTIMIZATION (SEO), SOCIAL MEDIA OPTIMIZATION (SMO), BULK EMAIL MARKETING, CONTENT WRITING, ECOMMERCE, EMAIL CAMPAIGN, ERP AND ONLINE CONSULTANCY AGREEMENT OF BYEZE TECH SERVICES will be effective immediately after it is posted on this Website. Your use of the Website following the posting any such changes or of a revised SEARCH ENGINE OPTIMIZATION (SEO), SOCIAL MEDIA OPTIMIZATION (SMO), BULK EMAIL MARKETING, CONTENT WRITING, ECOMMERCE, EMAIL CAMPAIGN, ERP AND ONLINE CONSULTANCY AGREEMENT OF BYEZE TECH SERVICES will constitute your acceptance of any such changes or revisions. Byeze Tech Services LLP encourages you to review this SEARCH ENGINE OPTIMIZATION (SEO), SOCIAL MEDIA OPTIMIZATION (SMO), BULK EMAIL MARKETING, CONTENT WRITING, ECOMMERCE, EMAIL CAMPAIGN, ERP AND ONLINE CONSULTANCY AGREEMENT OF BYEZE TECH SERVICES whenever you visit the Website to make sure that you understand the terms and conditions governing use of the Website. This SEARCH ENGINE OPTIMIZATION (SEO), SOCIAL MEDIA OPTIMIZATION (SMO), BULK EMAIL MARKETING, CONTENT WRITING, ECOMMERCE, EMAIL CAMPAIGN, ERP AND ONLINE CONSULTANCY AGREEMENT OF BYEZE TECH SERVICES does not alter in any way the terms or conditions of any other written SEARCH ENGINE OPTIMIZATION (SEO), SOCIAL MEDIA OPTIMIZATION (SMO), BULK EMAIL MARKETING, CONTENT WRITING, ECOMMERCE, EMAIL CAMPAIGN, ERP AND ONLINE CONSULTANCY AGREEMENT OF BYEZE TECH SERVICES you may have with Byeze Tech Services LLP for other products or services. If you do not agree to this SEARCH ENGINE OPTIMIZATION (SEO), SOCIAL MEDIA OPTIMIZATION (SMO), BULK EMAIL MARKETING, CONTENT WRITING, ECOMMERCE, EMAIL CAMPAIGN, ERP AND ONLINE CONSULTANCY AGREEMENT OF BYEZE TECH SERVICES (including any referenced policies or guidelines), please immediately terminate your use of the Website. If you would like to print this SEARCH ENGINE OPTIMIZATION (SEO), SOCIAL MEDIA OPTIMIZATION (SMO), BULK EMAIL MARKETING, CONTENT WRITING, ECOMMERCE, EMAIL CAMPAIGN, ERP AND ONLINE CONSULTANCY AGREEMENT OF BYEZE TECH SERVICES, please click the print button on your browser toolbar. Terms of Offer. This Website offers for sale certain products (SEARCH ENGINE OPTIMIZATION (SEO), SOCIAL MEDIA OPTIMIZATION (SMO), EMAIL CAMPAIGN, ERP, CRM, EEMAIL Marketing, Content Writing Services, eCommerce and IT related consultancy & servcies). By placing an order for Products through this Website, you agree to the terms set forth in this SEARCH ENGINE OPTIMIZATION (SEO), SOCIAL MEDIA OPTIMIZATION (SMO), BULK EMAIL MARKETING, CONTENT WRITING, ECOMMERCE, EMAIL CAMPAIGN, ERP AND ONLINE CONSULTANCY AGREEMENT OF BYEZE TECH SERVICES. Customer Solicitation: Unless you notify our third party call center reps or direct Byeze Tech Services LLP sales reps, while they are calling you, of your desire to opt out from further direct company communications and solicitations, you are agreeing to continue to receive further eEMAILs and call solicitations Byeze Tech Services LLP and its designated in house or third party call team(s). Opt Out Procedure: We provide 3 easy ways to opt out of from future solicitations. 1. You may use the opt out link found in any eEMAIL solicitation that you may receive. 2. You may also choose to opt out, via sending your eEMAIL address to: info@byeze.com 3. You may send a written remove request to our Corporate address. Proprietary Rights. Byeze Tech Services LLP has proprietary rights and trade secrets in the Products. You may not copy, reproduce, resell or redistribute any Product manufactured and/or distributed by Byeze Tech Services LLP. Byeze Tech Services LLP also has rights to all trademarks and trade dress and specific layouts of this webpage, including calls to action, text placement, images and other information. Sales Tax. If you purchase any Products, you will be responsible for paying any applicable sales tax. Content; Intellectual Property; Third Party Links. In addition to making Products available, this Website also offers information and marketing materials. This Website also offers information, both directly and through indirect links to third-party websites, about nutritional and dietary supplements. Byeze Tech Services LLP does not always create the information offered on this Website; instead the information is often gathered from other sources. To the extent that Byeze Tech Services LLP does create the content on this Website, such content is protected by intellectual property laws of the India, foreign nations, and international bodies. Unauthorized use of the material may violate copyright, trademark, and/or other laws. You acknowledge that your use of the content on this Website is for personal, noncommercial use. Any links to third-party websites are provided solely as a convenience to you. Byeze Tech Services LLP does not endorse the contents on any such third-party websites. Byeze Tech Services LLP is not responsible for the content of or any damage that may result from your access to or reliance on these third-party websites. If you link to third-party websites, you do so at your own risk. Use of Website; Byeze Tech Services LLP is not responsible for any damages resulting from use of this website by anyone. You will not use the Website for illegal purposes. You will (1) abide by all applicable local, state, national, and international laws and regulations in your use of the Website (including laws regarding intellectual property), (2) not interfere with or disrupt the use and enjoyment of the Website by other users, (3) not resell material on the Website, (4) not engage, directly or indirectly, in transmission of "spam", chain letters, junk EMAIL or any other type of unsolicited communication, and (5) not defame, harass, abuse, or disrupt other users of the Website License. By using this Website, you are granted a limited, non-exclusive, non-transferable right to use the content and materials on the Website in connection with your normal, noncommercial, use of the Website. You may not copy, reproduce, transmit, distribute, or create derivative works of such content or information without express written authorization from Byeze Tech Services LLP or the applicable third party (if third party content is at issue). Posting. By posting, storing, or transmitting any content on the Website, you hereby grant Byeze Tech Services LLP a pEMAIL CAMPAIGN, ERPetual, worldwide, non-exclusive, royalty-free, assignable, right and license to use, copy, display, perform, create derivative works from, distribute, have distributed, transmit and assign such content in any form, in all media now known or hereinafter created, anywhere in the world. Byeze Tech Services LLP does not have the ability to control the nature of the user-generated content offered through the Website. You are solely responsible for your interactions with other users of the Website and any content you post. Byeze Tech Services LLP is not liable for any damage or harm resulting from any posts by or interactions between users. Byeze Tech Services LLP reserves the right, but has no obligation, to monitor interactions between and among users of the Website and to remove any content Byeze Tech Services LLP deems objectionable, in MuscleUP Nutrition 's sole discretion. Byeze Tech Services LLP ENTIRE LIABILITY, AND YOUR EXCLUSIVE REMEDY, IN LAW, IN EQUITY, OR OTHWERWISE, WITH RESPECT TO THE WEBSITE CONTENT AND PRODUCTS AND/OR FOR ANY BREACH OF THIS AGREEMENT IS SOLELY LIMITED TO THE AMOUNT YOU PAID, LESS SHIPPING AND HANDLING, FOR PRODUCTS PURCHASED VIA THE WEBSITE. Byeze Tech Services LLP WILL NOT BE LIABLE FOR ANY DIRECT, INDIRECT, INCIDENTAL, SPECIAL OR CONSEQUENTIAL DAMAGES IN CONNECTION WITH THIS AGREEMENT OR THE PRODUCTS IN ANY MANNER, INCLUDING LIABILITIES RESULTING FROM (1) THE USE OR THE INABILITY TO USE THE WEBSITE CONTENT OR PRODUCTS; (2) THE COST OF PROCURING SUBSTITUTE PRODUCTS OR CONTENT; (3) ANY PRODUCTS PURCHASED OR OBTAINED OR TRANSACTIONS ENTERED INTO THROUGH THE WEBSITE; OR (4) ANY LOST PROFITS YOU ALLEGE. SOME JURISDICTIONS DO NOT ALLOW THE LIMITATION OR EXCLUSION OF LIABILITY FOR INCIDENTAL OR CONSEQUENTIAL DAMAGES SO SOME OF THE ABOVE LIMITATIONS MAY NOT APPLY TO YOU. By using this Website or ordering Products, you acknowledge that you have read and agree to be bound by this SEARCH ENGINE OPTIMIZATION (SEO), SOCIAL MEDIA OPTIMIZATION (SMO), BULK EMAIL MARKETING, CONTENT WRITING, ECOMMERCE, EMAIL CAMPAIGN, ERP AND ONLINE CONSULTANCY AGREEMENT OF BYEZE TECH SERVICES and all terms and conditions on this Website. Force Majeure. Byeze Tech Services LLP will not be deemed in default hereunder or held responsible for any cessation, interruption or delay in the performance of its obligations hereunder due to earthquake, flood, fire, storm, natural disaster, act of God, war, terrorism, armed conflict, labor strike, lockout, or boycott. Cessation of Operation. Byeze Tech Services LLP may at any time, in its sole discretion and without advance notice to you, cease operation of the Website and distribution of the Products. Entire SEARCH ENGINE OPTIMIZATION (SEO), SOCIAL MEDIA OPTIMIZATION (SMO), BULK EMAIL MARKETING, CONTENT WRITING, ECOMMERCE, EMAIL CAMPAIGN, ERP AND ONLINE CONSULTANCY AGREEMENT OF BYEZE TECH SERVICES. This SEARCH ENGINE OPTIMIZATION (SEO), SOCIAL MEDIA OPTIMIZATION (SMO), BULK EMAIL MARKETING, CONTENT WRITING, ECOMMERCE, EMAIL CAMPAIGN, ERP AND ONLINE CONSULTANCY AGREEMENT OF BYEZE TECH SERVICES comprises the entire SEARCH ENGINE OPTIMIZATION (SEO), SOCIAL MEDIA OPTIMIZATION (SMO), BULK EMAIL MARKETING, CONTENT WRITING, ECOMMERCE, EMAIL CAMPAIGN, ERP AND ONLINE CONSULTANCY AGREEMENT OF BYEZE TECH SERVICES between you and Byeze Tech Services LLP and supersedes any prior SEARCH ENGINE OPTIMIZATION (SEO), SOCIAL MEDIA OPTIMIZATION (SMO), BULK EMAIL MARKETING, CONTENT WRITING, ECOMMERCE, EMAIL CAMPAIGN, ERP AND ONLINE CONSULTANCY AGREEMENT OF BYEZE TECH SERVICESs pertaining to the subject matter contained herein. Effect of Waiver. The failure of Byeze Tech Services LLP to exercise or enforce any right or provision of this SEARCH ENGINE OPTIMIZATION (SEO), SOCIAL MEDIA OPTIMIZATION (SMO), BULK EMAIL MARKETING, CONTENT WRITING, ECOMMERCE, EMAIL CAMPAIGN, ERP AND ONLINE CONSULTANCY AGREEMENT OF BYEZE TECH SERVICES will not constitute a waiver of such right or provision.  If any provision of this SEARCH ENGINE OPTIMIZATION (SEO), SOCIAL MEDIA OPTIMIZATION (SMO), BULK EMAIL MARKETING, CONTENT WRITING, ECOMMERCE, EMAIL CAMPAIGN, ERP AND ONLINE CONSULTANCY AGREEMENT OF BYEZE TECH SERVICES is found by a court of competent jurisdiction to be invalid, the parties nevertheless agree that the court should endeavor to give effect to the parties' intentions as reflected in the provision, and the other provisions of this SEARCH ENGINE OPTIMIZATION (SEO), SOCIAL MEDIA OPTIMIZATION (SMO), BULK EMAIL MARKETING, CONTENT WRITING, ECOMMERCE, EMAIL CAMPAIGN, ERP AND ONLINE CONSULTANCY AGREEMENT OF BYEZE TECH SERVICES remain in full force and effect. Governing Law; Jurisdiction. This Website originates from India. This SEARCH ENGINE OPTIMIZATION (SEO), SOCIAL MEDIA OPTIMIZATION (SMO), BULK EMAIL MARKETING, CONTENT WRITING, ECOMMERCE, EMAIL CAMPAIGN, ERP AND ONLINE CONSULTANCY AGREEMENT OF BYEZE TECH SERVICES will be governed by the laws of the State of Pondicherry without regard to its conflict of law principles to the contrary. Neither you nor Byeze Tech Services LLP will commence or prosecute any suit, proceeding or claim to enforce the provisions of this SEARCH ENGINE OPTIMIZATION (SEO), SOCIAL MEDIA OPTIMIZATION (SMO), BULK EMAIL MARKETING, CONTENT WRITING, ECOMMERCE, EMAIL CAMPAIGN, ERP AND ONLINE CONSULTANCY AGREEMENT OF BYEZE TECH SERVICES, to recover damages for breach of or default of this SEARCH ENGINE OPTIMIZATION (SEO), SOCIAL MEDIA OPTIMIZATION (SMO), BULK EMAIL MARKETING, CONTENT WRITING, ECOMMERCE, EMAIL CAMPAIGN, ERP AND ONLINE CONSULTANCY AGREEMENT OF BYEZE TECH SERVICES, or otherwise arising under or by reason of this SEARCH ENGINE OPTIMIZATION (SEO), SOCIAL MEDIA OPTIMIZATION (SMO), BULK EMAIL MARKETING, CONTENT WRITING, ECOMMERCE, EMAIL CAMPAIGN, ERP AND ONLINE CONSULTANCY AGREEMENT OF BYEZE TECH SERVICES, other than in courts located in State of Pondicherry, India. By using this Website or ordering Products, you consent to the jurisdiction and venue of such courts in connection with any action, suit, proceeding or claim arising under or by reason of this SEARCH ENGINE OPTIMIZATION (SEO), SOCIAL MEDIA OPTIMIZATION (SMO), BULK EMAIL MARKETING, CONTENT WRITING, ECOMMERCE, EMAIL CAMPAIGN, ERP AND ONLINE CONSULTANCY AGREEMENT OF BYEZE TECH SERVICES. You hereby waive any right to trial by jury arising out of this SEARCH ENGINE OPTIMIZATION (SEO), SOCIAL MEDIA OPTIMIZATION (SMO), BULK EMAIL MARKETING, CONTENT WRITING, ECOMMERCE, EMAIL CAMPAIGN, ERP AND ONLINE CONSULTANCY AGREEMENT OF BYEZE TECH SERVICES and any related documents. Statute of Limitation. You agree that regardless of any statute or law to the contrary, any claim or cause of action arising out of or related to use of the Website or Products or this SEARCH ENGINE OPTIMIZATION (SEO), SOCIAL MEDIA OPTIMIZATION (SMO), BULK EMAIL MARKETING, CONTENT WRITING, ECOMMERCE, EMAIL CAMPAIGN, ERP AND ONLINE CONSULTANCY AGREEMENT OF BYEZE TECH SERVICES must be filed within one (1) year after such claim or cause of action arose or be forever barred. Waiver of Class Action Rights. BY ENTERING INTO THIS SEARCH ENGINE OPTIMIZATION (SEO), SOCIAL MEDIA OPTIMIZATION (SMO), BULK EMAIL MARKETING, CONTENT WRITING, ECOMMERCE, EMAIL CAMPAIGN, ERP AND ONLINE CONSULTANCY AGREEMENT OF BYEZE TECH SERVICES, YOU HEREBY IRREVOCABLY WAIVE ANY RIGHT YOU MAY HAVE TO JOIN CLAIMS WITH THOSE OF OTHER IN THE FORM OF A CLASS ACTION OR SIMILAR PROCEDURAL DEVICE. ANY CLAIMS ARISING OUT OF, RELATING TO, OR CONNECTION WITH THIS SEARCH ENGINE OPTIMIZATION (SEO), SOCIAL MEDIA OPTIMIZATION (SMO), BULK EMAIL MARKETING, CONTENT WRITING, ECOMMERCE, EMAIL CAMPAIGN, ERP AND ONLINE CONSULTANCY AGREEMENT OF BYEZE TECH SERVICES MUST BE ASSERTED INDIVIDUALLY. Termination. Byeze Tech Services LLP reserves the right to terminate your access to the Website if it reasonably believes, in its sole discretion, that you have breached any of the terms and conditions of this SEARCH ENGINE OPTIMIZATION (SEO), SOCIAL MEDIA OPTIMIZATION (SMO), BULK EMAIL MARKETING, CONTENT WRITING, ECOMMERCE, EMAIL CAMPAIGN, ERP AND ONLINE CONSULTANCY AGREEMENT OF BYEZE TECH SERVICES. Following termination, you will not be permitted to use the Website and Byeze Tech Services LLP may, in its sole discretion and without advance notice to you, cancel any outstanding orders for Products. If your access to the Website is terminated, Byeze Tech Services LLP reserves the right to exercise whatever means it deems necessary to prevent unauthorized access of the Website. This SEARCH ENGINE OPTIMIZATION (SEO), SOCIAL MEDIA OPTIMIZATION (SMO), BULK EMAIL MARKETING, CONTENT WRITING, ECOMMERCE, EMAIL CAMPAIGN, ERP AND ONLINE CONSULTANCY AGREEMENT OF BYEZE TECH SERVICES will survive indefinitely unless and until Byeze Tech Services LLP chooses, in its sole discretion and without advance to you, to terminate it. Domestic Use. Byeze Tech Services LLP makes no representation that the Website or Products are appropriate or available for use in locations outside India. Users who access the Website from outside India do so at their own risk and initiative and must bear all responsibility for compliance with any applicable local laws. Assignment. You may not assign your rights and obligations under this SEARCH ENGINE OPTIMIZATION (SEO), SOCIAL MEDIA OPTIMIZATION (SMO), BULK EMAIL MARKETING, CONTENT WRITING, ECOMMERCE, EMAIL CAMPAIGN, ERP AND ONLINE CONSULTANCY AGREEMENT OF BYEZE TECH SERVICES to anyone. Byeze Tech Services LLP may assign its rights and obligations under this SEARCH ENGINE OPTIMIZATION (SEO), SOCIAL MEDIA OPTIMIZATION (SMO), BULK EMAIL MARKETING, CONTENT WRITING, ECOMMERCE, EMAIL CAMPAIGN, ERP AND ONLINE CONSULTANCY AGREEMENT OF BYEZE TECH SERVICES in its sole discretion and without advance notice to you. BY USING THIS WEBSITE OR ORDERING PRODUCTS FROM THIS WEBSITE YOU AGREE TO BE BOUND BY ALL OF THE TERMS AND CONDITIONS OF THIS SEARCH ENGINE OPTIMIZATION (SEO), SOCIAL MEDIA OPTIMIZATION (SMO), BULK EMAIL MARKETING, CONTENT WRITING, ECOMMERCE, EMAIL CAMPAIGN, ERP AND ONLINE CONSULTANCY AGREEMENT OF BYEZE TECH SERVICES.